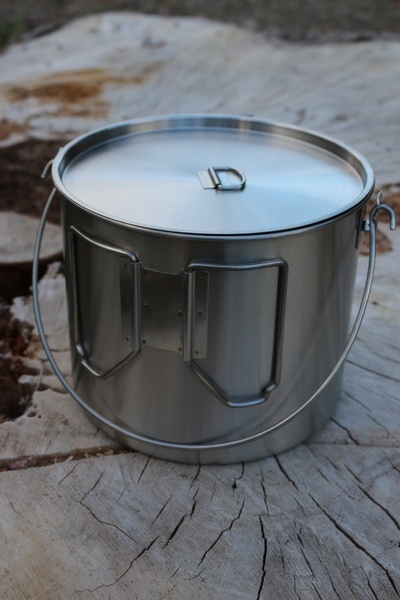 Tough, well made Stainless Steel Bushpot from Dave Canterbury and the Self Reliance Outfitters. 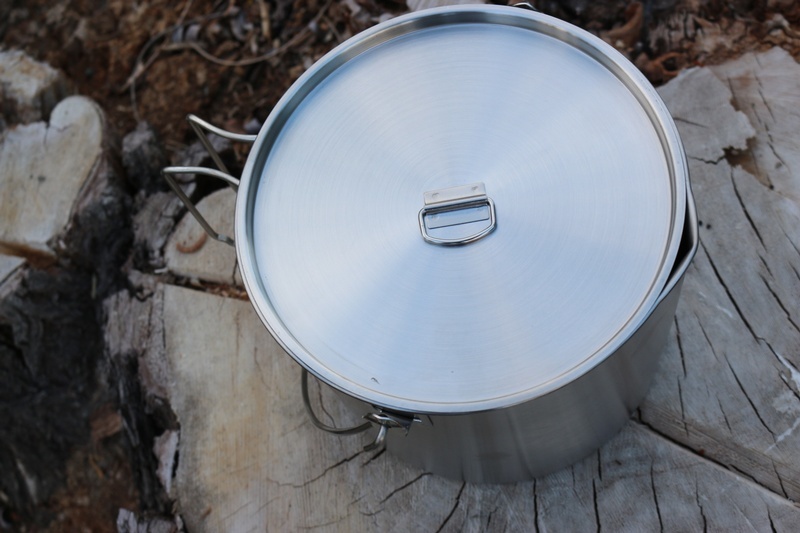 The 304 Stainless Steel Pot has a big 120oz liquid Capacity and a large hanging loop. 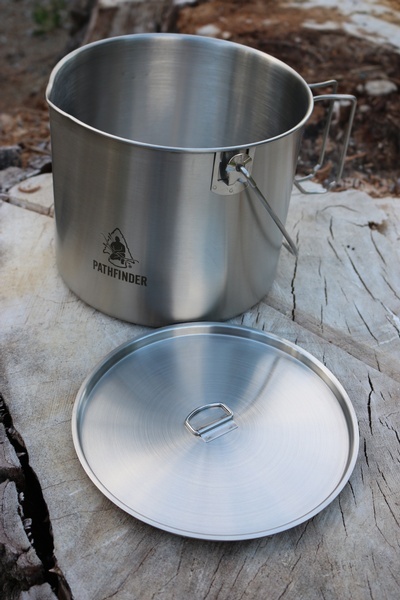 The Pot also has fold out handles and a formed spout for ease of pouring and a solid lid with D ring. Purchase through PayPal by using the "Add To Cart" button above or use the form below to order the Pathfinder 120oz Bushpot . 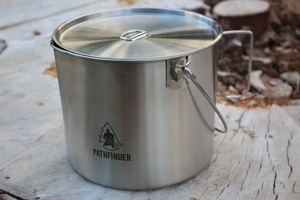 Feel free to contact us if you have any questions about the Pathfinder 120oz Bushpot .